Even with this increase, Canadian directors are still paid less than their American counterparts on average. 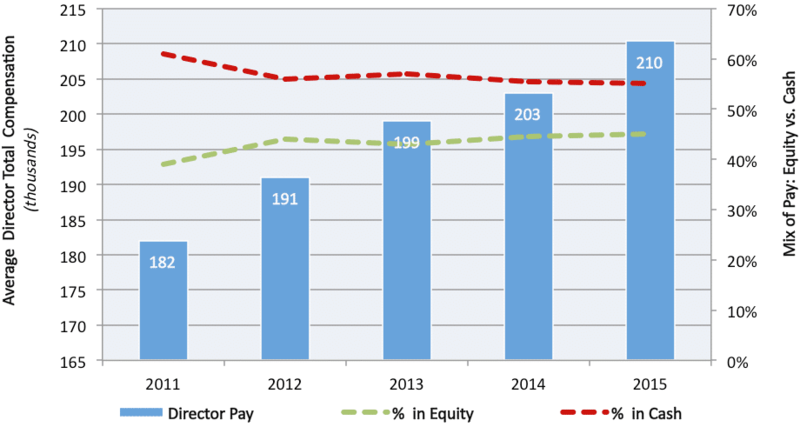 Director total compensation increased year over year, while equity held steady at just under one-half of director pay. This aligns with increases in director time commitments and expansion of the role of board members. Directors of Canadian companies continue to be paid less than their American peers, even without any adjustment for currency. 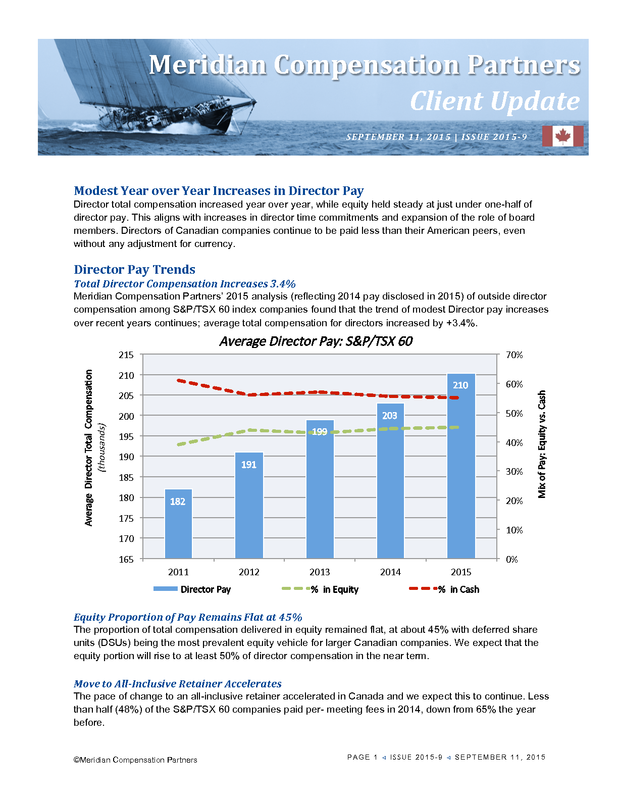 Meridian Compensation Partners’ 2015 analysis (reflecting 2014 pay disclosed in 2015) of outside director compensation among S&P/TSX 60 index companies found that the trend of modest Director pay increases over recent years continues; average total compensation for directors increased by +3.4%. The proportion of total compensation delivered in equity remained flat, at about 45% with deferred share units (DSUs) being the most prevalent equity vehicle for larger Canadian companies. 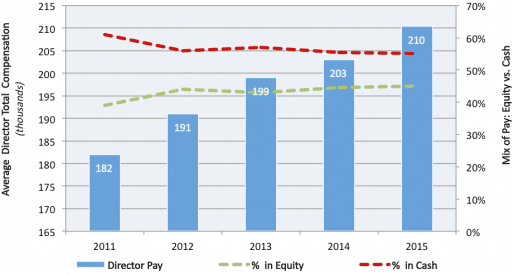 We expect that the equity portion will rise to at least 50% of director compensation in the near term. The pace of change to an all-inclusive retainer accelerated in Canada and we expect this to continue. 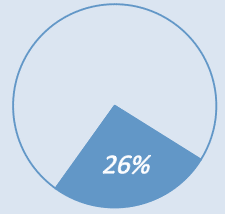 Less than half (48%) of the S&P/TSX 60 companies paid per- meeting fees in 2014, down from 65% the year before. 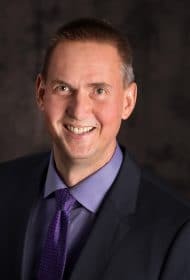 Committee chair premiums continue to rise, and the gap in premiums paid between audit and compensation committee leadership continues to narrow. Audit chair retainers increased an average of about +7% this past year, while compensation chair retainers increased by about +14%. Governance chair retainers increased by about +12%. According to a report published by the NACD, the average Director’s annual time commitment increased significantly over the past several years, reaching 309 hours per year among large cap companies surveyed by the association. 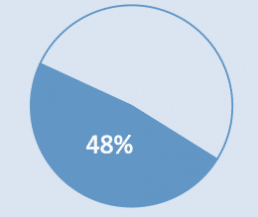 On average, the largest proportion of a Director’s time is spent attending board or committee meetings, followed by reviewing reports and other materials. A significant amount of the average directors’ time is spent on travel to/from board events, meeting informally with management, on director education, and representing the company at public events. Anecdotally, we see the same trends in Canada. Meridian compared outside director compensation practices at the S&P/TSX 60 index companies with 228 comparably sized U.S. companies (based on revenue and market cap). The bottom line is that U.S. companies pay their directors about 20% more, with a greater portion in equity and generally in the form of an all-inclusive retainer. For study purposes, amounts are shown at their absolute dollar value, regardless of currency (no conversion has been applied); the 20% pay disparity is further exacerbated by the recent decrease in the Canadian dollar relative to the USD. Fixed fee approaches continue to edge higher in both Canada and the U.S., but Canada significantly lags the U.S. trend; however, the pace of change increased in Canada this past year—only 48% of the TSX60 paid meeting fees this year, down from 65% in 2014. Equity Ownership Guidelines 3× Cash & Equity Retainer ($500,000 Median Estimated Value) 5× Cash Retainer ($375,000 Median Estimated Value) Guidelines calculated on the basis of Cash + Equity Retainer, vs. a multiple of Cash Retainer alone, continue to be the preference in Canada, while multiples of Cash Retainer alone are more common in the U.S.